If you have been finding yourself struggling to ‘get off the pot‘, there are a number of things you can do to make this task easier. 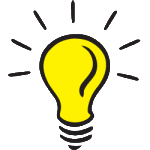 Following are ten remedies that can make it easier for you to get up from the toilet independently, ranging from simply adding equipment to your existing toilet to replacing your toilet with a new model. Elevated Toilet Seat: A taller toilet seat can be attached to the top of the toilet bowl to increase the seat height. Raised toilet seats can be purchased in heights ranging from 2 to 7 inches. Most of the elevated-height toilet seat models are designed to be fully supported by the toilet bowl via bolts or clamping mechanisms. 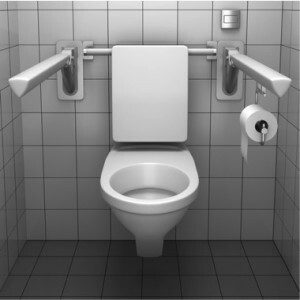 Some elevated toilet seats have legs that extend down to the floor to provide increased stability and to further help prevent the seat from moving or tipping. Some models are equipped with armrests that can helpful to push up from when standing. Toilet Seat Spacer/Riser: Alternatively, a spacer can be installed in between the toilet bowl and the existing toilet seat to raise the height of the seat. These can be found in heights ranging from 2 to 4 inches. Toilet Seat Pedestal: A pedestal (plinth) can be installed underneath the toilet to raise the overall height of the toilet. Pedestals can be found in heights ranging from 3.5 to 4 inches. Commode: A commode is a portable toilet frame (aka a portable potty or bedside commode) that can be either used beside the bed or positioned over a regular toilet. When placed over a standard toilet, it helps to both raise the toilet seat height and provide support rails on both sides of the toilet to push up from. Comfort Height Toilet: Another option for increasing the toilet seat height is to replace your existing toilet with a taller toilet model. Tall toilets can often be found labelled as “Comfort-Height” toilets and typically range in height from 17”-19” measured from the floor to top of toilet seat. 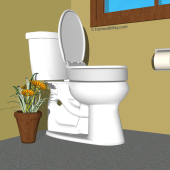 Wall Hung Toilet: Alternatively, select a wall-hung toilet bowl and install it at the specific height you desire. 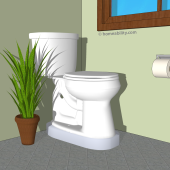 Be aware, wall-hung toilet models differ in the minimum and maximum height ranges at which they can be installed. Some models can be installed as low as 11 inches or as high as 28 inches. Power-Assisted Toilet Seat: Purchase a special toilet seat that is designed to mechanically assist you with sitting down and standing up. Power-assisted toilet seats typically come attached to a frame that gets positioned over/around the existing toilet. Power-Assisted Adjustable Height Toilet: With the push of a button, the entire toilet can be adjusted up and down in height. This is a consideration for persons who have difficulty standing up, persons who require a toilet seat height greater than 18″ high, or in cases where multiple people live in the home who vary significantly in height. Some motorized models can achieve seat heights as high as 32″. 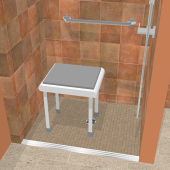 Add Support Rails: Install toilet rails or grab bars beside the toilet to give you support when standing up. Support rails can be attached to the wall beside the toilet, wall behind the toilet, or floor. Super Pole: If you are a renter and can’t drill a grab bar into the wall, consider adding a super pole beside the toilet to assist with balance when sitting down and standing up. A super pole is a vertical floor to ceiling pole that usually does not require any installation. It is held in place via pressure exerted between the floor and ceiling. Government regulations do not permit equipment used for toileting purposes to be returned (unless it is sealed in the original packaging), so it is important to pay careful attention when selecting toilet equipment. Check that the equipment is suitable for your weight and for the size, shape and style of your toilet bowl. 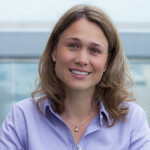 Shorter persons often find tall toilets or elevated toilet seats troublesome because feet can uncomfortably dangle when sitting on a high toilet seat. If you are shorter in stature, and have difficulty standing up from low surfaces, consider simply adding support rails/handles on either side of the toilet. The handles will provide you with a higher surface to push up from, which can oftentimes be just enough to provide you with the added “oomph” necessary to stand up by yourself. Alternatively, consider one of the power-assisted toilets/toilet seats.